Company: South Hook LNG Terminal Company Ltd. The demand for natural gas is growing rapidly and at the same time indigenous gas production in European Union is going down. Experts predict that the resulting import requirements in the European Union in 2030 will be between 1.5 and 2 times the import amount of 2007. One of the options to close the resulting supply gap is through LNG imports. As a consequence, liquefied natural gas (LNG) facilities are under pressure to deliver not just now, but well into the future. Consequently, a requirement for LNG terminals is that they have exceptionally reliable field proven process automation solutions that will be supported for at least 15 years, and which in practical terms can be expected to be longer. The South Hook Terminal provides the UK with a significant proportion of its natural gas requirements. It is an integral part of the Qatargas 2 integrated value chain and is the largest Liquefied Natural Gas re–gasification terminal in Europe. The South Hook re-gasification Terminal is the stage in the LNG process which changes it back from the liquid to gaseous state. This is then delivered to the UK's homes and businesses via the UK's national grid network. 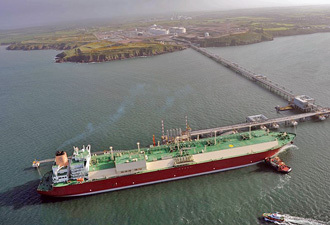 The LNG is delivered to South Hook by a state of the art fleet of double-hulled ships which brings the LNG from Qatar's immense North Field, to the safe, deep water in Milford Haven. The South Hook Terminal also plays a major role in the strengthening of the strategic partnership between the state of Qatar and UK. LNG imports greatly increase the UK's security and diversity of gas supply while helping to ensure that natural gas remains a competitive source of energy. 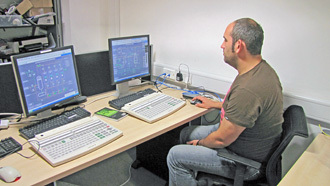 Yokogawa Europe successfully completed the implementation of the full ICSS automation control system project which includes flagship products of distributed control system (DCS) CENTUM CS 3000, Yokogawa's safety instrumented system Prosafe-RS and Exaquantum – Yokogawa's Plant Information Management System (PIMS). For design and training purposes the Yokogawa scope also included an Operator Training System (OTS) based on the Visual Modeler dynamic simulation software. The South Hook Terminal facility comprises a ship unloading system, five dual containment 155,000 m3 LNG storage tanks, and duplicated re–gasification and gas send-out systems. Owners of LNG terminals are subject to compliance with many laws, regulations, standards and guidelines which need to be met to ensure that the health and safety and commercial viability of all of its stakeholders are not compromised. These comprehensive requirements influence the design, construction, operation, and maintenance of an LNG facility. Yokogawa's skills, expertise and experience is not just limited to its product but recognises the importance of understanding the LNG process. In order to be able to implement a successful fully automated solution, Yokogawa utilises its experience and specific knowledge of LNG terminal control system automation. Yokogawa safety consultants are involved at the earliest stages of development and can participate, for example, in HAZOP studies and SIL studies. Yokogawa supported, designed and supplied a full automation control system for this terminal, which incorporated the DCS (distributed control system), emergency shutdown (ESD) system, fire and gas (F&G) system, fire and gas devices, asset management system, data historian system and operator training simulator. 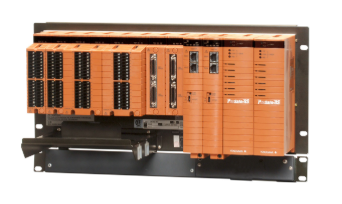 The basis of this LNG terminal solution is Yokogawa's CENTUM CS 3000 R3 DCS system and ProSafe–RS safety instrumented system, which are considered the most reliable process automation system on the market. As LNG EPC projects have increased in size and complexity, owners have increasingly employed Yokogawa during front end engineering design (FEED) activities, utilising Yokogawa's extensive experience in LNG supply chain automation. CENTUM CS 3000 and ProSafe-RS were totally integrated with 17 sub-vendor systems and all process operation data needing to be visualised for efficient terminal operation. The plant management team operates daily KPI reporting that the terminal utilises to monitor and continually improve its efficiency. Yokogawa's Exaquantum plant information management system (PIMS) is the tool that South Hook utilise to manage this important part of their operation. 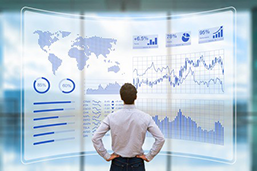 To ensure operators can see their process information clearly, various process information in real time data are always displayed on their large operator screen. This enables the process situation to be known in advance and ensures that the operator can always take any necessary proactive action. Finally, gas nomination and allocation is smoothly executed by having Exaquantum provide the required data to the Terminal Access System that handles. In managing and operating LNG terminals effectively, terminal owners are frequently faced with the need to train and refresher train staff in order to maintain competitiveness and maximise efficiency, process and safety knowledge. It can be difficult for LNG owners to find experienced operators, and therefore need to train their own. An experienced operator may only require training on the specific system and not always on the plants process. However, inexperienced operators may also need to be trained in process behaviours and specific operator scenarios. In the South Hook LNG terminal's case, Yokogawa's OmegaLand plant operator training simulator (OTS) helps to reduce costs, optimize LNG terminal processes, and improve reliability by training operator staff in trouble–free start–up and load operation, prior to real plant operation. 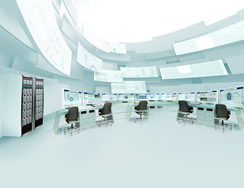 By establishing a network connection between OmegaLand and an actual DCS (the CENTUM CS 3000), it is possible for operators to receive realistic training in a virtual environment. Training is available for procedures such as plant startup and load change, abnormal conditions such as an instrument or equipment failure, and exceptional emergency situations such as earthquakes, fires and runaway reactions. 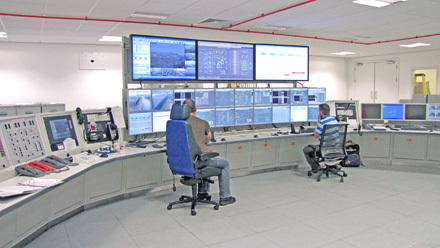 Because the simulator uses exactly the same algorithms as the actual control system, individuals can be fully trained to respond to emergencies, however rare, that could lead to a plant shutdown. The dynamic model not only facilitates the training of operators, but also allows the designers to check the dynamic aspects of the design. Having such a dynamic simulation environment attached to the actual control and safety systems, additionally supports the validation of process operating procedures. According to Maurice Khoury the SHLNG Facilities, Control & Instrumentation Lead Engineer, "We are very happy using Yokogawa's DCS and SIS, as well as their software packages. The South Hook LNG Terminal can provide up to 20% of UK gas demand, so the plant runs 24 hours a day, 7 days a week, 365 days a year. Yokogawa's highly reliable systems and products are contributing to this continuous operation." He added, "Yokogawa are a significant partner here and we will continue to work as one seamless team throughout the plant's asset lifecycle."